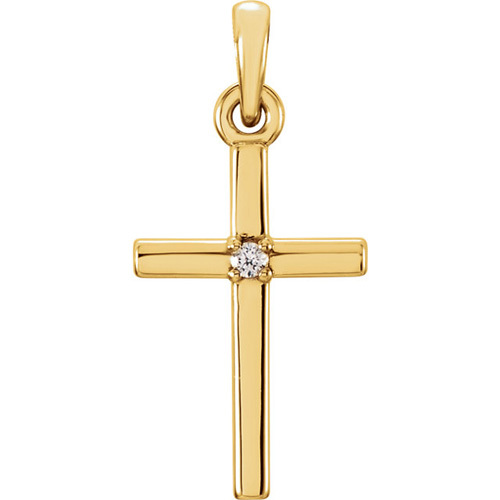 This polished 14kt yellow gold cross pendant has a single .01 ct round diamond accent. Item size: 3/4in x 3/8in. Diamond quality: G-H color, I1 clarity. 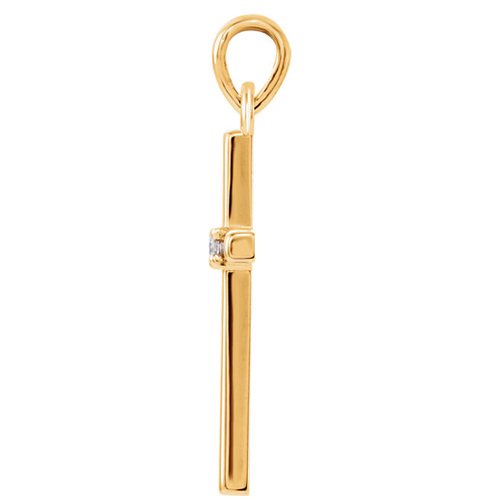 Fits up to a 2.5mm wide chain. Weighs 1.1 grams. Please note: weight is approximate, actual weight may vary. Chain not included.